So.... 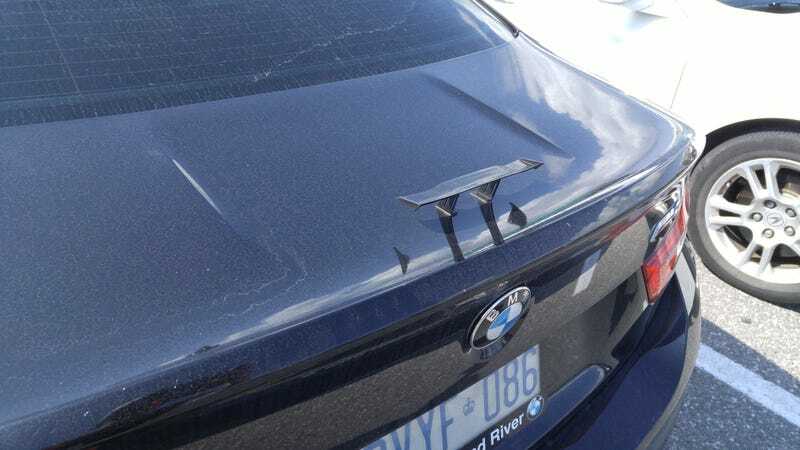 I saw a BMW M3 Coupe (I refuse to acknowledge the existence of the 4 series) with a tiny spoiler. And I mean toy car tiny. I’m going to assume this is not stock but it is hilarious.